Sutherlandia | Infonet Biovision Home. Sutherlandia frutescens flowers. The flowers are bright red, 35 mm long, and are borne on short stalks in loose clusters. Sutherlandia frutescens. 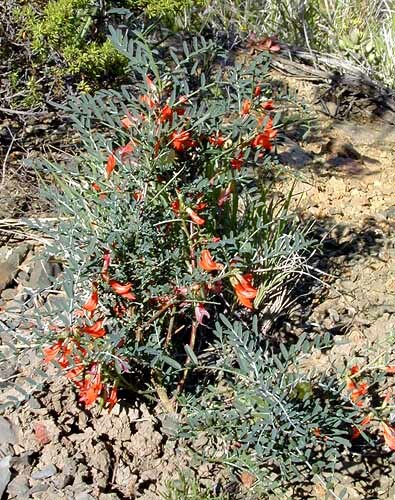 This soft sub-shrub is widespread throughout South Africa. It prefers disturbed and gravelly soils. 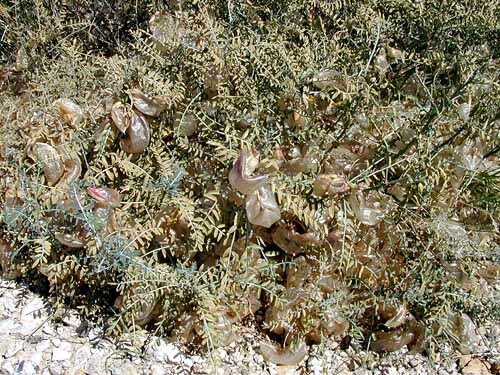 Sutherlandia frutescens bush with fruit The fruit, which are inflated pods, become pale brown and papery when ripe and accumulate under and on the bush in large numbers. Sutherlandia frutescens seeds. 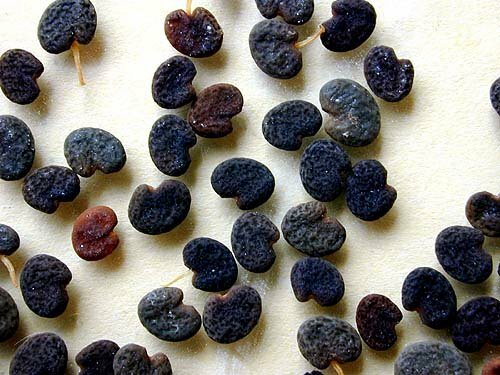 Seeds are black, flattened, reniform and pitted, with funicle. A seed is about 5 mm long. Geographical Distribution of Sutherlandia in Africa, Source PlantZAfrica . Updated on 26th March 2019. Sutherlandia frutescens sub-species microphylla, is regarded as the most profound and multi-purpose of the medicinal plants in Southern Africa. Because of its efficacy as a safe tonic for diverse health conditions it has enjoyed a long history of use by all cultures in Southern Africa (Afrikaanse Kruiden). Sutherlandia is native to South Africa, Namibia and Botswana. It grows naturally in the southern part of both Cape-Provinces and in the Little Karoo (African Herbs). 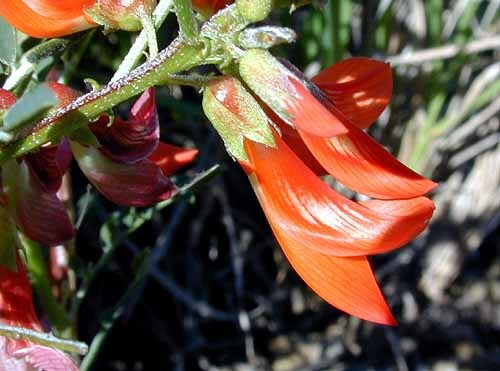 A multi-disciplinary team headed by Dr Nigel Gericke, a botanist, medical doctor and indigenous plant specialist, found that Sutherlandia contained a powerful combination of molecules which have been identified and used in the treatment of patients with cancer tuberculosis, diabetes, schizophrenia and clinical depression and as an antiretroviral agent. Gericke set up a company, Phyto Nova, to produce tablets, powder, tea and gel from the plant and has been distributing it to AIDS patients (BBC news, 30.11.2001). Sutherlandia herbal tablets are available from African Herbs: (www.africanherbs.info) or from African Drugs (www.africandrugs.com) in bottles that contain 60 tablets of 300 mg. Recommended does is two tablets after meals twice a day (in all 4 tablets a day). HIV/AIDS Improvements in appetite, weight-gain, sleep, exercise tolerance, anxiety and overall sense of well-being can be expected. Researchers anticipate that there will be a delayed progression of HIV into AIDS. This will require compliance of taking appropriate doses of the correct selection of Sutherlandia on an ongoing basis, in addition to meticulous attention to diet. Alcohol, recreational drugs and other drugs that damage the immune system should be avoided. Anecdotal evidence from doctors and health workers using the plant on HIV patients describes remarkable results (New Scientist, 30.11.2001). It has to be stressed, however, that Sutherlandia is not a cure for AIDS. In keeping with World Health Organisation guidelines of the assessment of herbal medicines, Sutherlandia is generally regarded as safe on the basis of its long history of safe use in South Africa. No severe adverse effects are known. Known side-effects include occasional reports of dry mouth, occasional reports of mild diuretic effect; occasional reports of loose stool and occasional reports of constipation. Slight dizziness has been occasionally noted in very wasted and weak patients (e.g. in an ill adult weighing 35 kg) who take Sutherlandia without meals. However this is corrected by instructing wasted patients to take the product after meals. Although there is a well-established traditional use of taking Sutherlandia in pregnancy, this is not recommended until there is further evidence of safety during pregnancy.